Welcome to the National Responder Preparedness Center. Located in Greenville, Kentucky, NRPC provides training for current and future responders in the Commonwealth of Kentucky. Our hands-on training is provided by certified instructors with “real life” experiences. 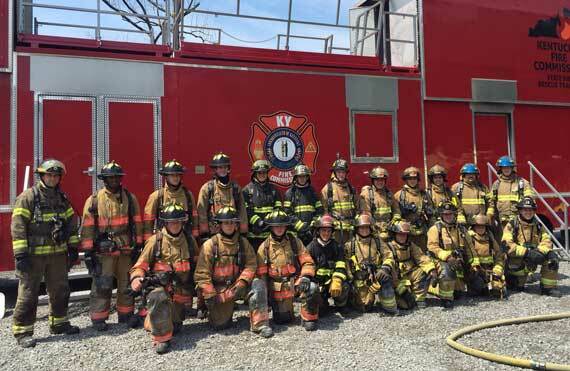 Operating as a Division of the Kentucky Fire Commission, part of the Kentucky Community and Technical College System, NRPC is prepared to meet any of your educational needs as a current or future responder. Well-trained responders are needed when emergency events, small to large, natural and manmade, occur. 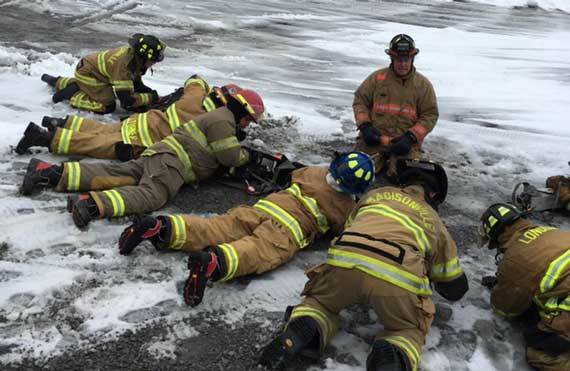 Responders from multiple disciplines must be prepared for all hazards. NRPC is providing this training for current and future responders in the Commonwealth of Kentucky. Quality programs are based on the latest recognized state and national standards, yet can be customized for your personnel. We seek to deliver programs on your schedule and at your location, providing programs anytime…anywhere. This class will cover Awareness and Operations rope rescue techniques as required to meet NFPA 1006. Students shall be physically capable of performing and demonstrating the skills required for meeting NFPA 1006. This course is designed to provide the student with the information and skills to meet the job performance requirements of NFPA 1041 Level I Fire and Emergency Services Instructor. Students will review General Knowledge and Skills required of all instructors. Additionally, students will study class preparation of lesson plans for delivery, A/V support, practical applications and evaluation of student progress. This course provides emergency response personnel with the information and skills needed to recognize, evaluate, and control an incident involving the release or potential release of hazardous materials. It is intended for members of hazardous materials response teams. The focus of the course is on recognizing and evaluating a hazardous materials incident, organizing the response team, protecting response personnel, identifying and using response resources, implementing basic control measures, refining decision-making skills, and protecting the environment and public. Fire suppression techniques are not part of the course. This class will cover Awareness, Operations and Technician rope rescue techniques as required to meet NFPA 1006. Students shall be physically capable of performing and demonstrating the skills required for meeting NFPA 1006. All mid-level management (Federal/State/Local/Tribal/Private Sector & Nongovernmental personnel) should take ICS-300, including: Persons serving as command staff, section chiefs, strike team leaders, task force leaders, unit leaders, division/group supervisors, branch directors, and multi-agency coordination system/emergency operations center staff. This 8 Hour course is designed to provide Awareness-Level Hazardous Materials Training. It is for responders who are likely to witness or discover a hazardous materials release and will initiate a response sequence by notifying the proper authorities of the release. It will concentrate on detecting a hazardous situation and making the appropriate calls to secure the scene and prevent contamination. National Responder Preparedness Center shared a link.